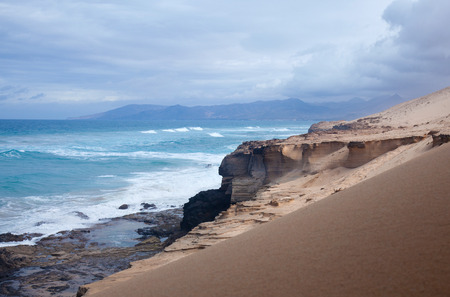 La Pared is a very small, exclusive resort north of Playa Jandia on the west coast of Fuerteventura. Le Pared holidays offer total relaxation in a guarantee of sunshine with good restaurants, a sandy beach, a golf course and a riding school. Holidays to La Pared can be taken at any time of year as the Canary Islands enjoy a climate with warm winters and pleasantly hot summers. This self-contained, purpose built resort possesses all the necessary ingredients for a relaxing, carefree break in the sun. With accommodation mainly comprised of villas with pools and small apartments, you may be surprised to find we have a number of cheap La Pared holidays offering great value. A range of leisure and sporting pursuits, both in the resort and in the surrounding area, will keep you entertained. Holidays in La Pared have widespread appeal with the exception perhaps of young adults looking for a lively nightlife. If you are seeking a stress free seaside vacation, with water sports and golf which can be enjoyed in a guarantee of sunshine, check out our La Pared holidays deals and you could soon be on your way. For further information and to find our latest La Pared holiday offers, please use the search facility.